Mike Vrabel's aggressive play-calling came back to bite him and the Tennessee Titans on Sunday. After scoring the potential game-tying touchdown late in their game Sunday against the Chargers, the Titans elected to go for a game-winning two-point conversion. The Titans had two attempts to win the game thanks to a defensive penalty but threw incompletions on both plays to lose their third straight game. 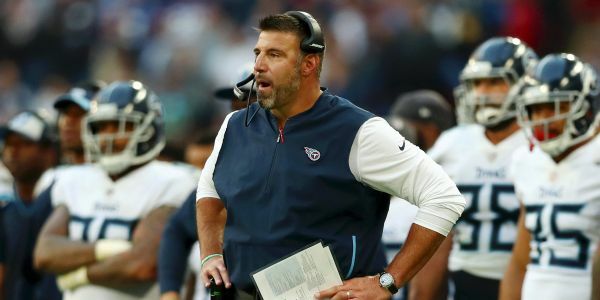 Mike Vrabel has made a point to be aggressive in his play-calling as head coach of the Tennessee Titans. The Titans had a chance to tie the game with 30 seconds left but instead went for the win.